Female macroptera. 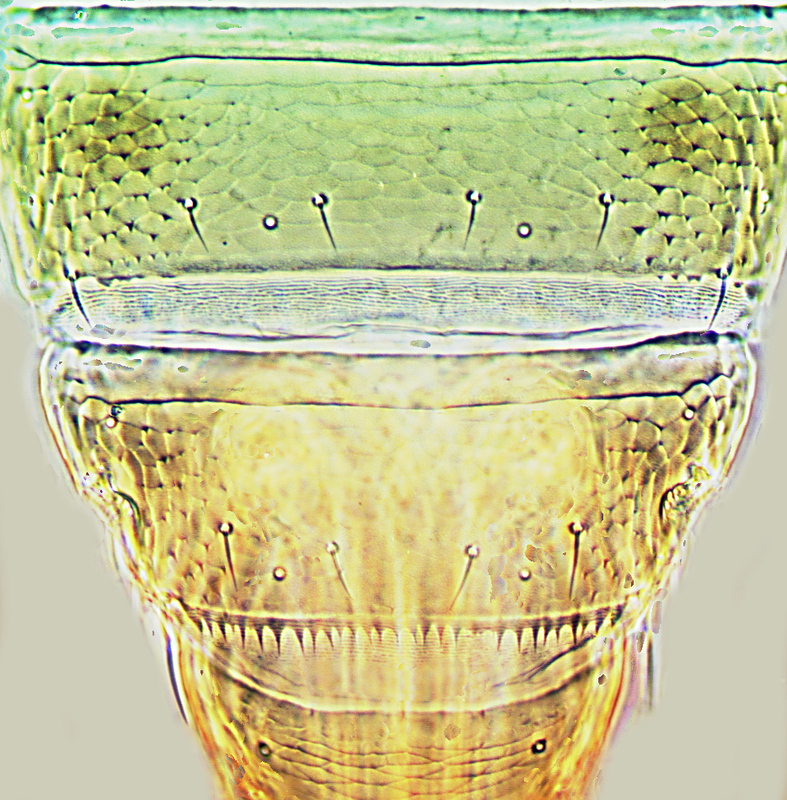 Body and legs yellow; tergites II–VII with paired brown areas laterally, pterothorax weakly shaded laterally; antennal segment I white, II and IV–IX brown, III mainly yellow; fore wings weakly shaded, clavus darkest. 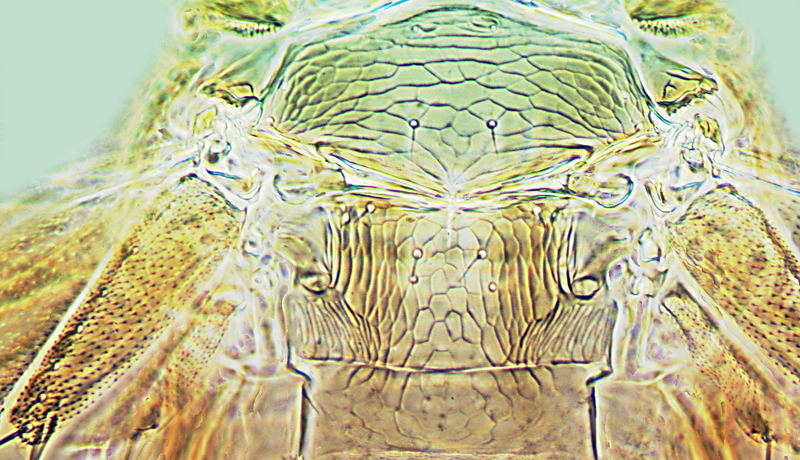 Head wider than long; reticulate behind eyes, weakly sculptured in ocellar triangle; ocellar setae III on margins of triangle just anterior to hind ocelli; eyes with no pigmented facets. 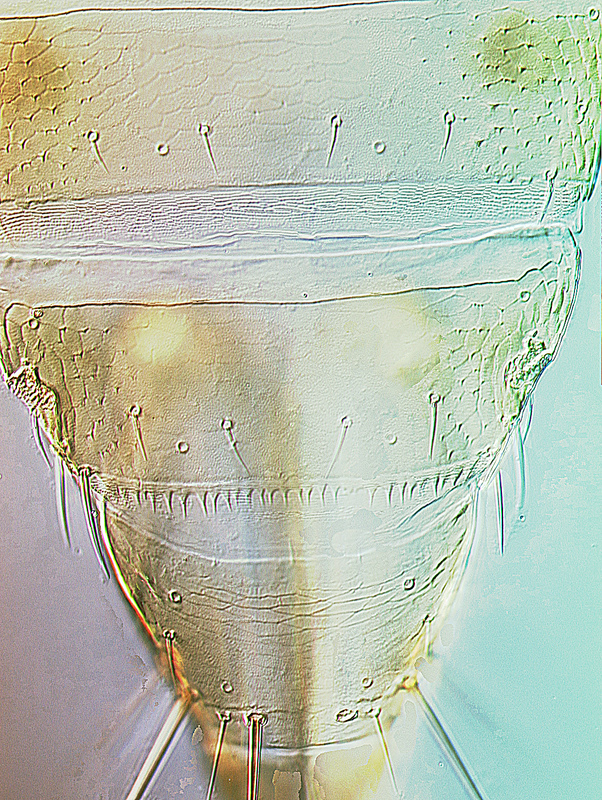 Antennae 9-segmented; forked sensorium on III short and curved; II with short microtrichia on transverse lines; VI with short pedicel. Pronotum with sculpture markings, with no long setae. Metascutum reticulate, median setae well posterior to anterior margin, campaniform sensilla present. Fore wing first vein with about 10 setae basally, 2 medially and 2 distally; second vein with about 10 setae; clavus with 6 veinal setae plus one seta at base. Abdominal tergites with weak reticulate sculpture medially, laterally with prominent dentate microtrichia; VIII with spiracle large, posterior margin with comb of microtrichia of which the bases are fused to form a continuous craspedum. 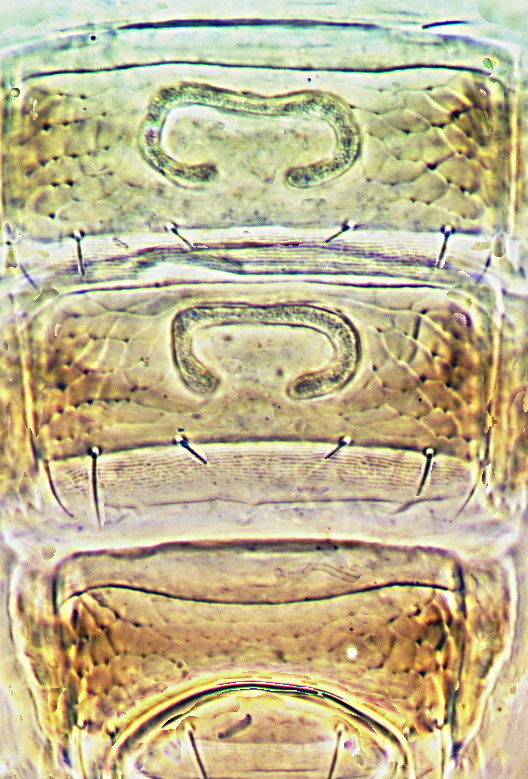 Sternites with dentate microtrichia laterally on sculpture lines. Female microptera. Similar to macroptera; fore wing lobe shorter than width of mesonotum. Male microptera. 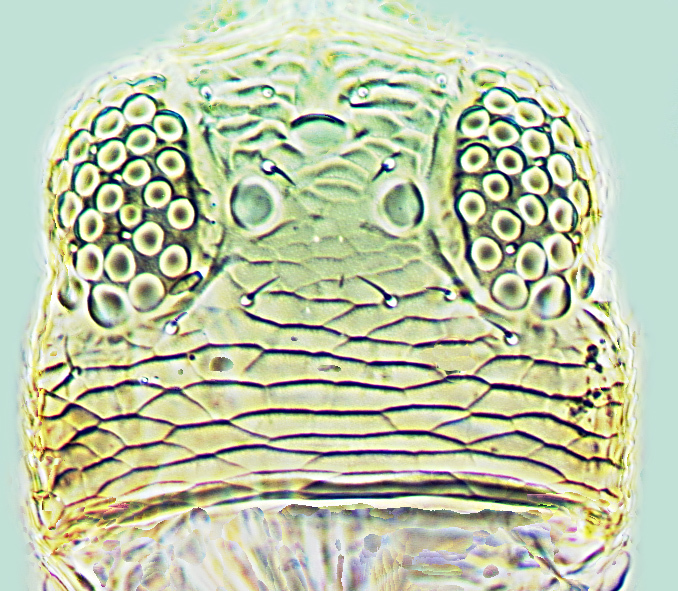 Similar to female; tergite IX with one pair of short stout setae medially and paired large dark drepanae posterolaterally that curve dorso-medially; sternites III–VII with broad C-shaped pore plate. There are 43 species of Anaphothrips known from Australia, out of a total of 79 species worldwide (Mound & Masumoto, 2009). 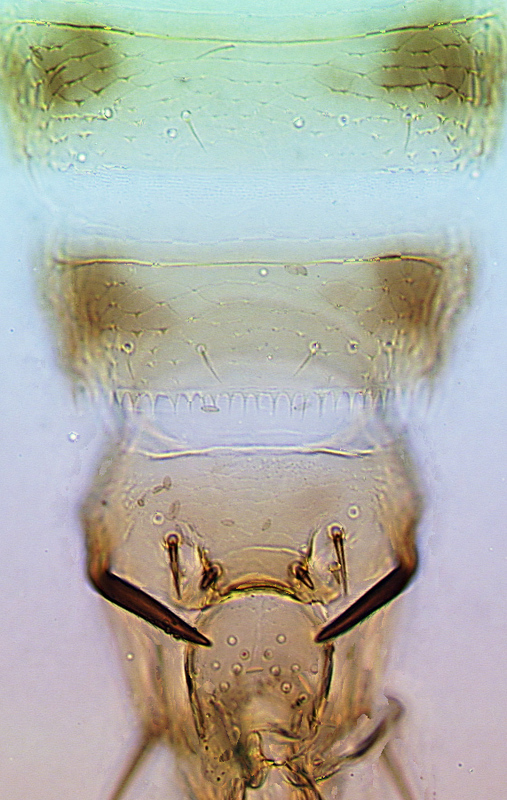 Many of these species have the antennae clearly 9-segmented, others clearly have only 8 segments, but several species have an intermediate condition with segment VI bearing a partial and often oblique transverse suture. The pronotal setae are short, and the forewing clavus has no discal seta. 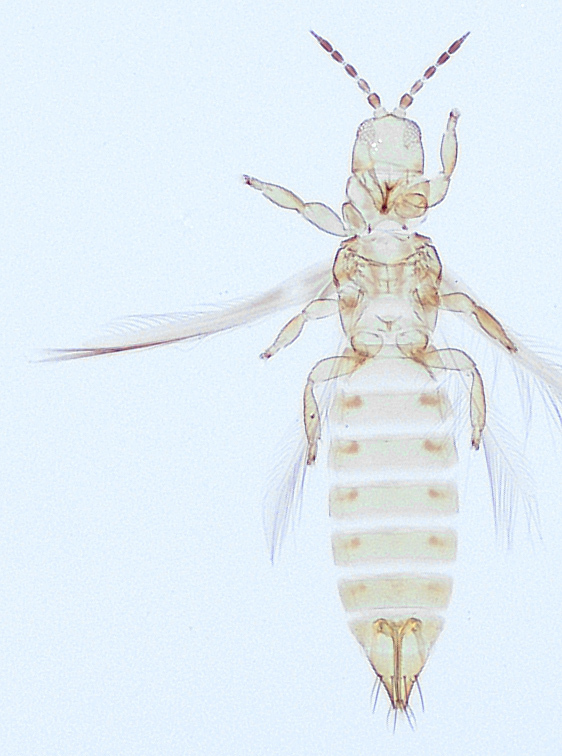 A. chortinus females are unusual amongst the Australian Anaphothrips in the form of the comb on tergite VIII, and the males are remarkable for the pair of strong, incurved, drepanae on the ninth tergite. Queensland, Australian Capital Territory, New South Wales, and Victoria. Grasses, including native Poa sp. (Poaceae).